Situated along the Clark Fork River, Red Lion Inn & Suites Missoula offers the best value hotel accommodations in Missoula, MT. Sleep soundly in our signature pillow top beds, and rise to our complimentary breakfast, served fresh each morning of your stay. During your stay at Red Lion Inn & Suites Missoula, make sure to take advantage of all of our premium amenities and services, including complimentary breakfast, free Wi-Fi and parking, a fully-equipped business center, and 640 square feet of meeting space. 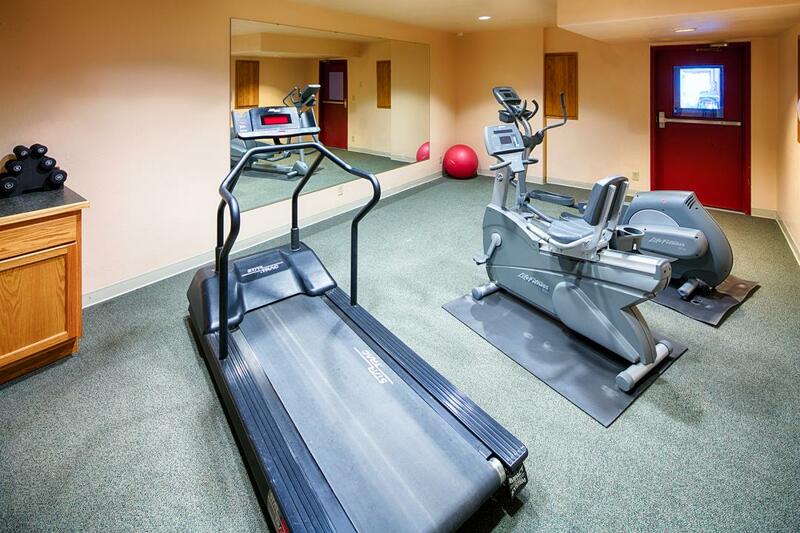 Red Lion Inn & Suites offers inexpensive rates on accommodations and amenities. Prep for your day of meetings or sightseeing with our complimentary breakfast, or grab a quick lunch at our Café2Go. Whether you're in town for an adventurous family vacation, a romantic getaway, or a business trip, savor all of the premium lodging amenities available at our hotel near Riverfront Park. Located right off the I-90 at Orange Street exit, Red Lion Inn & Suites puts you near many tasty restaurants in Missoula. We also have convenient onsite dining options. Fill up on all your favorite breakfast foods with our complimentary breakfast, or grab a quick bite at our convenient Café2Go. Five on Black is a casual Brazilian restaurant known for their savory South American cuisine and reasonable prices. Also known as "MoClub," Missoula Club is a historic spot among locals, featuring a pool table and some of the best handcrafted burgers and beer in Missoula. Plonk is an innovative Missoula dining and nightlife adventure, combining art, culture, fashion, and music in a hip and gorgeously appointed space. Wine and dine with their exquisite wine list and specialty cocktail menu. Founded in 1974, the Depot is a local favorite and one of Montana's original western steakhouses, featuring their casual Depot Deck, formal Depot dining room, and a fully stocked bar with 18 different beers on tap and a selection of award-winning wines. 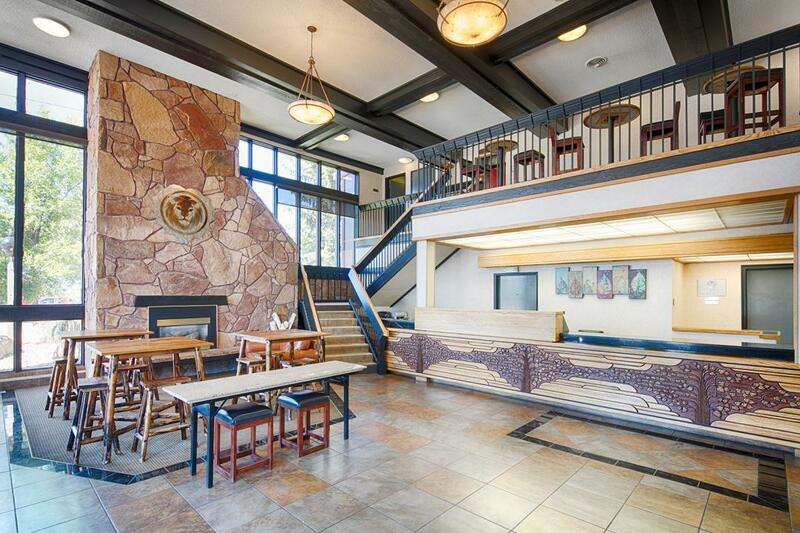 Red Lion Inn & Suites Missoula features a 24-hour Café2Go. Purchase convenient snacks and beverages, then relax in an inviting lounge area. Café2Go is located in the lobby, adjacent to our front desk. Conveniently located off the I-90, Red Lion Inn & Suites Missoula serves as a prime location for meetings and events in Missoula. Our contemporary pet-friendly hotel offers 640 square feet of space for events of up to 30 guests. Our designated "Montana" room is fully-stocked with the latest in technology, including complimentary Wi-Fi and presentation equipment. If you are interested in hosting your Missoula events in our facilities, submit a request for proposal, and one of our event planners will contact you. Conveniently located near downtown, right off the I-90, Red Lion Inn & Suites Missoula is a business-friendly Missoula hotel. Our inexpensive rooms feature pillow top mattresses, complimentary Wi-Fi, ergonomic work stations, eco-friendly bath toiletries, and other modern amenities. When you book your next business trip at our hotel near Downtown Missoula, you'll enjoy access to our convenient business amenities below. Nestled in the northern Rockies, Red Lion Inn & Suites Missoula is conveniently located near the area's best attractions. Take a drive up north to Glacier National Park for a day of fly fishing and whitewater rafting, or explore Missoula's hidden gems, including artisan shops, epicurean delights, innovative art, and stunning architecture. After a long day of exploring local attractions, return to resort-style amenities like our heated outdoor pool and hot tub. Experience the perfect balance of invigorating wilderness and charming town life with some of our favorite Missoula things to do below. For the top Missoula attractions for kids. Brennan's Wave is an engineered whitewater play wave in the middle of the Clark Fork River. Visit the banks of Caras Park to watch extreme kayakers and surfers take on the force of this man-made wave. Los Angeles has the Hollywood sign and Missoula has our "M" Located on the slopes of Mt. Sentinel, this grand concrete "M" can be found overlooking the University of Montana campus. Lace up your boots and hike the switchback trail to the "M" for spectacular views of the city and Missoula Valley. Luring in over 10,000 fans a year, River City Roots Festival is one of the top Montana attractions and winner of the 2009 Montana Tourism Event of the Year. Run four miles through the heart of the city and enjoy two days of live music, art, and entertainment for all ages. The Smokejumper Visitor Center Home is home to the largest smokejumper base in the country. Explore the fascinating history of aerial firefighters with a free tour through the Smokejumper loft, ready room and National Smokejumper memorial. During the summer, check out the fire lookout tour at the museum for a chance to catch the smokejumper aircrafts in action. 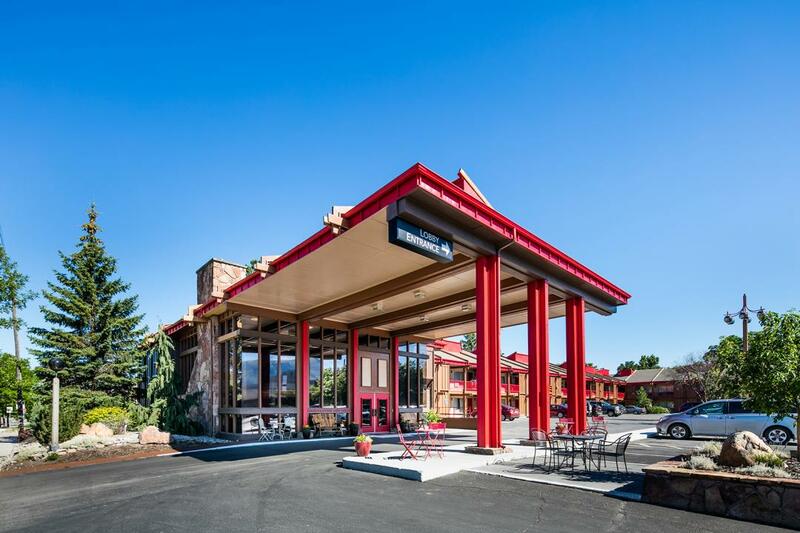 Conveniently situated right off the I-90 at Orange Street exit, Red Lion Inn & Suites boasts one of the best locations among family-friendly hotels in Missoula, Montana. Take a trip with the family and embark on an unforgettable adventure to some of the top things to do with kids, such as Yellowstone National Park and Glacier National Park. Visit Dragon's Hollow, a fun outdoor play structure and magical play land, for a whirl around Missoula's infamous Carousal. Explore downtown Missoula and discover one-of-a-kind trinkets, treasures and hidden gems in the boutiques and specialty shops that line our historic streets. Browse our favorite exhibit at the Historical Museum at Fort Missoula, "The Road to Today: 250 Years of Missoula's History," to travel back into 100 years of Missoula history. Missoula Children's Museum features hands-on interactive exhibits for children under the age of 9. Watch a movie or catch a concert at Wilma Theater-a gorgeous and historical theater located in downtown Missoula. A frontier spirit still lingers in the facades of Downtown Missoula. As we approach our city's 150-year anniversary, it becomes ever more fascinating to look back on our history and marvel at how much things have changed - and, in some cases, how much things have stayed the same. Thanks to robust preservation efforts, much of historic Missoula's character remains intact, luring visitors into American history. It may no longer have the eye-catching name of Hellgate Village, but since its foundation as a trading post in 1860, Missoula has played a crucial role in the history of Montana. It served as the crux of efforts by the U.S. Army, the railroad, the Forest Service and the University of Montana to shape the state and city in the late 19th century, saw an unprecedented boom in the logging industry and was the site of the election of the first woman in Congress, Jeanette Rankin, in 1916. Take a walk downtown and stop by some of the most prominent historical landmarks in Missoula. The Montana Museum of Art & Culture, begun in 1894, houses over 10,000 original works, while you can catch a show at the Wilma Theatre, founded in 1921, or see the artistic happenings at the Atlantic Hotel, dating back to 1902 and now housing studios and a secondhand thrift store. For a savory experience, visit the Oxford, a saloon and cafe established in 1883 that now boasts 24-hour service. Some Missoula history is yet to be written; Missoula, already home of the smokejumpers' headquarters, is scheduled to be the site of the National Museum of Forest Service History. Red Lion Inn & Suites Missoula provides 76 pet-friendly accommodations near some of the best breweries in Montana. Whether you're in town for a business trip or family vacation, escape from the stress with a cold beer at some of our favorite Missoula breweries. Big Sky Brewery is the largest beer distributor among Missoula breweries, offering guided tours throughout the year. Plan a pit stop in the tasting room, and make sure to check out the concerts hosted in their outdoor amphitheater during the summer. A local favorite, Kettlehouse Brewery is a can't-miss stop for diehard beer aficionados and home to the best tasting brew in Missoula - the Cold Smoke Scotch Ale. Just north of Caras Park on Front Street, Tamarack Brewing Company offers an unbeatable selection of tasty foods - including tempting New American cuisine, mouth-watering barbeque, handcrafted burgers, and innovative vegetarian options. This contemporary brewpub also features over than 10 flat-screen televisions, ideal for watching the game of your choice. Outdoor recreation is our specialty in Missoula. From biking to running to even disc golf, you will find a plethora of outdoor activities in Missoula, along with dozens of scenic areas for you to enjoy. Here are our picks for the best outdoor activities in town. Missoula has been labeled a gold-friendly bicycle city. You will see just as many bikes as cars downtown. 20 miles of bike lanes weave through the city streets, and after just a ten minute ride, you will find yourself on the stunning western slopes. The Clark Fork Riverfront Trail and The Kim Williams Nature Trail are fantastic places to explore with your bike. If you're a bird-watcher, you will find a bevy of species in the wilds around Missoula. Woodpeckers, blue herons, flycatchers, bald eagles, and osprey are just some of the diverse species spread through the local trails and recreation areas. Enjoy the dozens of stunning camping locations throughout the area. However you want to camp-in an RV, or rough it in the outdoors-we have campsites galore for you to explore. Get sporty and play a few games of disc golf at Blue Mountain and Pattee Canyon recreation areas. See the brilliant trails and nature winding throughout the city. You will find a park every couple of blocks, and there's a gorgeous trail winding along the river. Whether you are walking or going for a run, you'll have the stunning scenery for company. Experience the amazing outdoors during your time in Missoula. Once called "the most scenic campus in America" by Rolling Stone, The University of Montana is a focal point of life near our Missoula, MT hotel. This renowned public research university, founded in 1893, has its beautiful main campus at the foot of Mount Sentinel, unmissable thanks to its giant "M" brand on the side. With 64 buildings, as well as its own restaurants, medical facilities, banking, postal services, police department, and ZIP code, the University campus is like a city of its own. A tour offers endless opportunities for experiencing campus life. Walk its length, and discover its academic history, such as its record-setting number of Rhodes Scholars or the earliest authorized edition of the Lewis and Clark journals. For a look at the school's athletics, there's the 26,500-seat Washington–Grizzly Stadium and the Adams Center, a 7,500-seat multi-purpose arena. In addition to its research centers, and institutes, the University of Montana comprises six colleges and three independent schools, including the renowned Phyllis J. Washington College of Education and Human Sciences and College of Forestry and Conservation. When you stay at Red Lion Inn & Suites Missoula, you're just a five minute drive, or a brief walk along the riverfront, away from the University of Montana. Reserve a stay near campus and downtown Missoula.